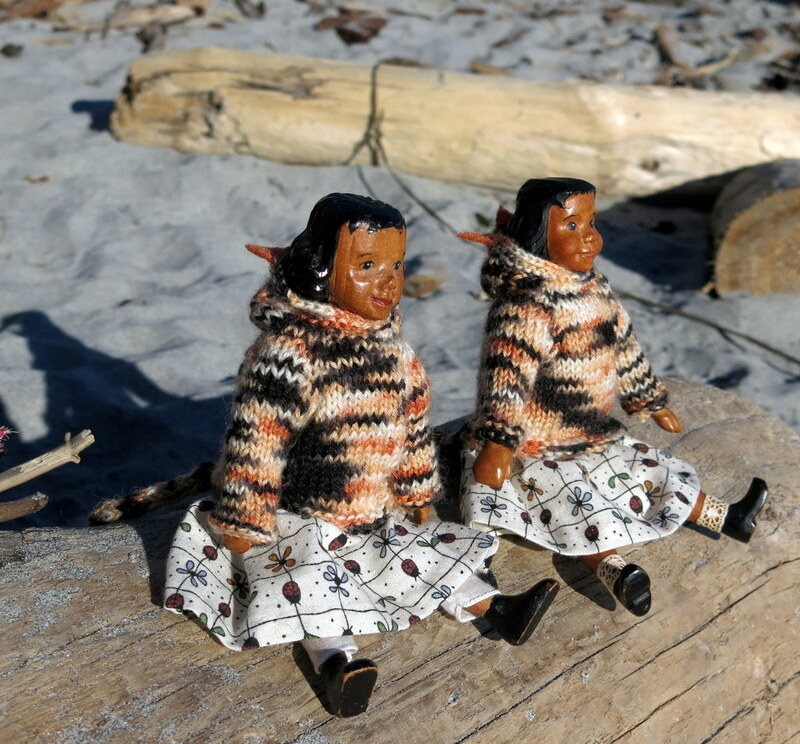 The first of March was chilly, but it was also sunny, so Agathe and Opal went down to the beach. 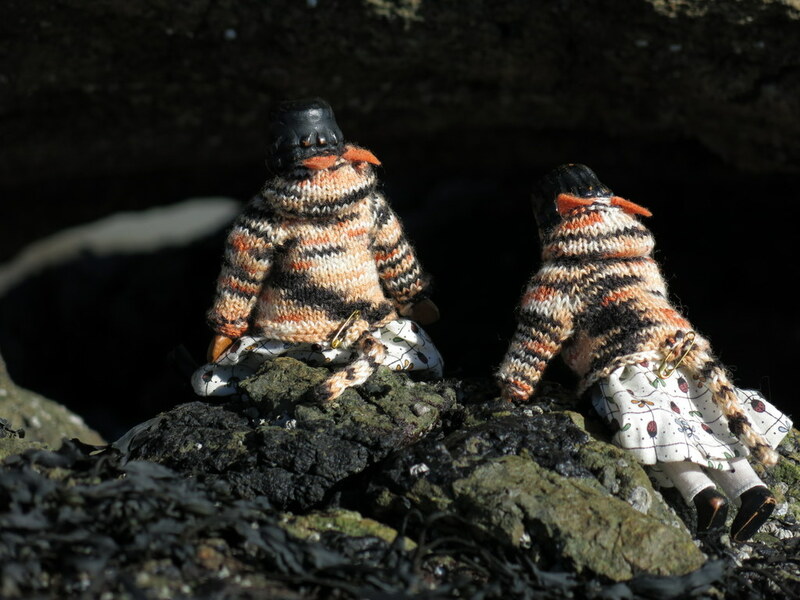 …and they poked their heads into a cold dark damp sea cave. …and sat in the lee until the sun heated them up again! What an amazing jaunt! It’s so great to read of the adventures even though the weather is not perfect. The twins surely made the best of the situation. 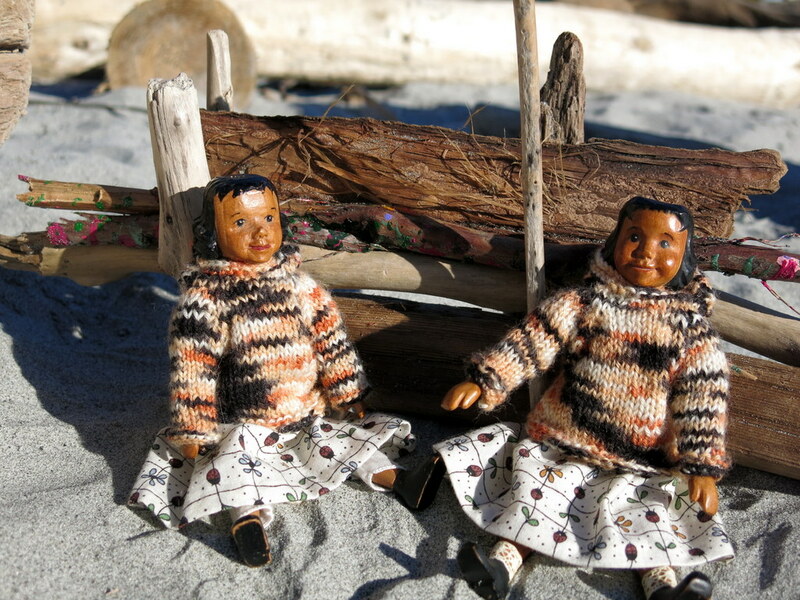 Once the twins were sheltered by the windbreak, they thought the weather was indeed perfect! 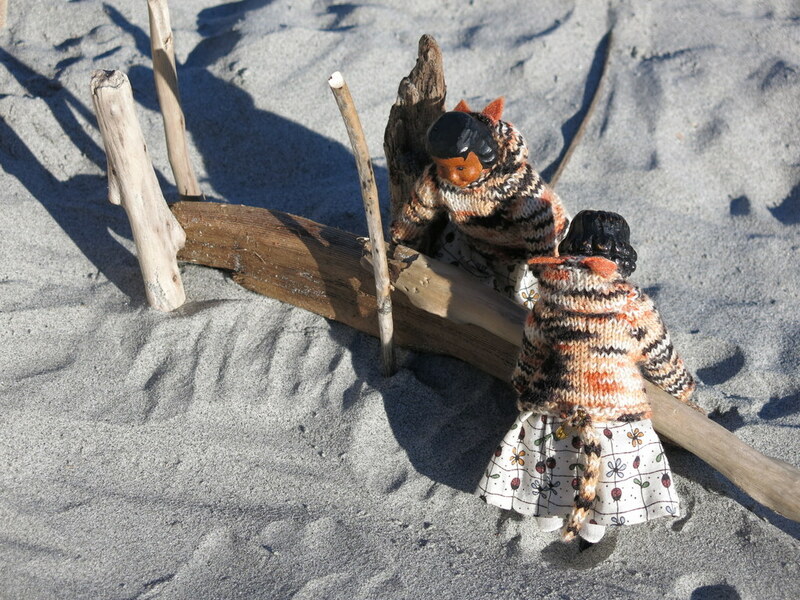 They were glad to get out for some Very fresh air, and glad you came along! The sea turtle is amazing! So creative! Another inspiring post. Thanks! It was a surprise and delight to find the Driftwood Sea Turtle on the beach! You are welcome! We love the Sea Turtle too, it was a fun thing to find on the beach! Your weaving skills are seen in your stories as well as your yarn. Loved seeing Min welcoming Constance back home and diverting the cats with fish. The driftwood sea turtle is a jaw dropping piece of art. I can’t stop looking at it. Did you make it????? Quimper human – you are one of a kind – and I am so grateful that my path has intersected with yours. 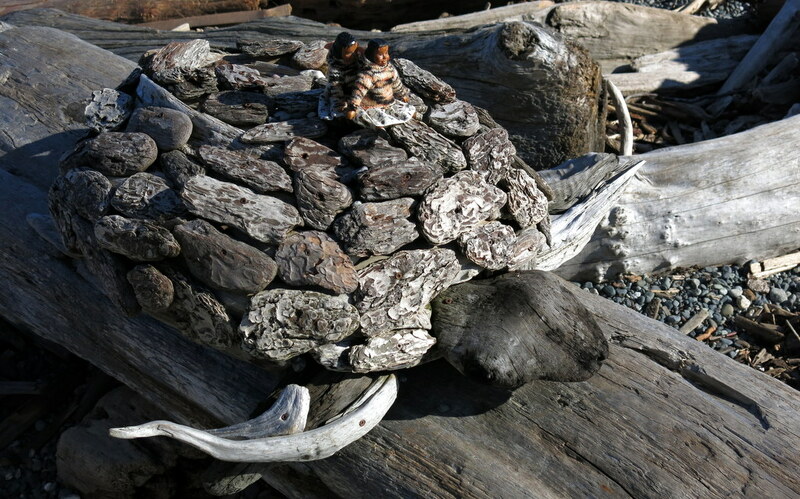 I did not make the sea turtle – someone around here makes really wonderful driftwood art, and we feel so lucky to stumble across them just lying around on the beach…other people seem to like them too, and they stick around for others to love as well. Such clever little girls~ Glad the sun is shining in your part of the world. I think we do prefer sunny but freezing cold, to slightly warmer but grey and damp in the winter…but I am getting a bit worried about the water supply, because we rely on the winter rains to supply us in the summer droughts…this feels a bit backwards!